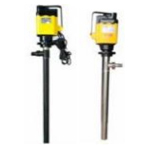 Barrel Pumps are portable pumps, suitable for 200L or 220L standard barrels, with small size, and light weight. 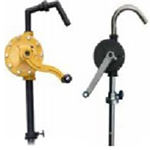 Barrel Pumps are used for Barrel unloading and transferring various liquids. 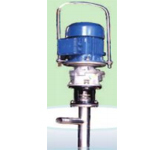 The advanced and technically simple construction of the pumps assures an efficient and reliable operation coupled with easy strip down maintenance. 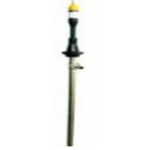 Usage: Acid, Alkali, Gasoline, Diesel, Oil, Water, Alcohol, Solvents, Chemicals, etc. Application: Suitable for transfer of low viscous fluids. Usage : Acid, Oil, Water, various Chemicals, etc. Application : Suitable for transfer of low viscous fluids. Usage: Diesel, Kerosene, Acid, Alcohol, Oils, Chemicals, Solvents, Gasoline, Water, etc. Operating Data: Capacity upto 110 LPM at open discharge, head upto 25 Meters. Usage: Diesel, Kerosene, Alcohol, Oils, Chemicals, Solvents. Available In MOC: PP/ SS/ PVDF/ Teflon Application: Suitable for transfer of low viscous fluids. Operating Data: Capacity upto 110 LPM at open discharge. head upto 21 Meters. With FLP Motors, also available with regulating system. Usage: Liquid Soaps, Plastics Solution, Synthetic Resin, Glue, Syrups, Liquid Chocolate, Honey, Glycerin etc. 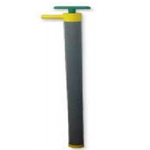 Application: Suitable for viscosity range upto 40000 cps.